We're obsessed with helping you grow your business. 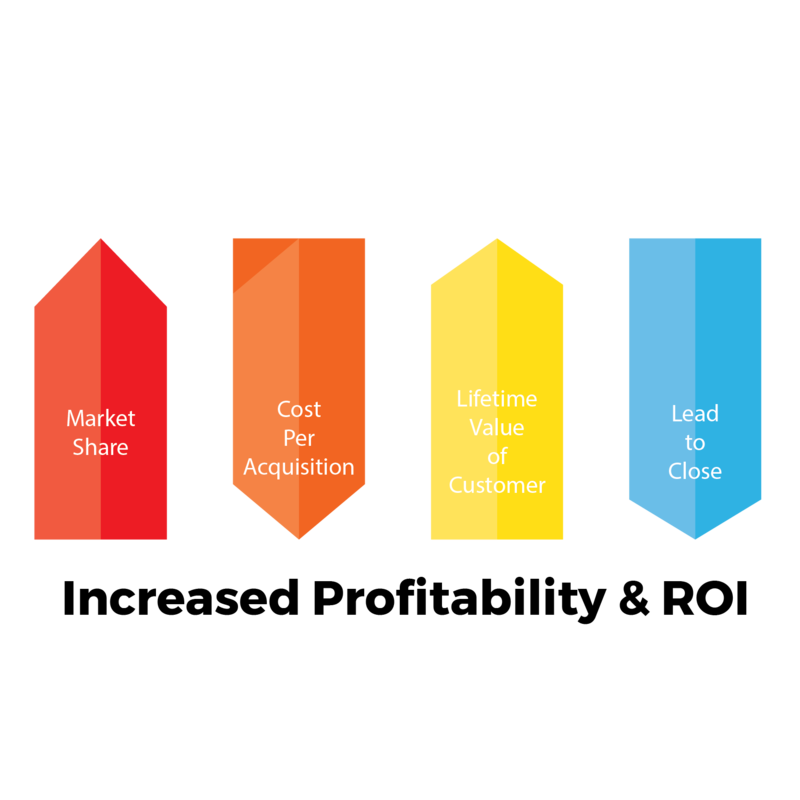 We respect that your sales team needs to have a steady pipeline of qualified leads. We understand that you don't have time to waste pursuing the wrong contacts which won't translate into the kind of business you need or want. Visits, clicks, views and likes are important...but they don't tell the real story. What is your Cost per Acquisition - and can we lower that? What is the Lifetime Value per Customer - and can we increase that? What is the Lead to Close time - and can we decrease that? What is the Value per Deal - and can we grow that? That means that your web and digital presence is critically important to the sales process. 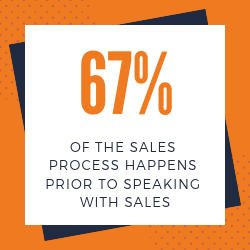 Rather than seeing Marketing and Sales as separate processes, we work in coordination with your Sales department for a continual feedback loop to ensure we are taking insights gained from the sales and service teams to inform the marketing messages. We also feed insights from our advanced tracking methods to inform sales conversations and advise of market trends. supporting a higher conversion rate for your business. I needed a complete overhaul of the websites backend systems and to establish processes. It all had to be done without any impact on the user experience. Lynne (and her team) helped me craft the plan and budget for the project. We launched the new site on a new backend platform, leveraged several lead management resources that the platform offered and there was zero impact on the user experience, it was exactly what we wanted. Lynne is a very easy person to get along with. She diplomatically offers suggestions, but listens to her clients and responds to their needs. I highly recommend Lynne for any project you require her professional services. Her knowledge of marketing and expertise and detail in carrying out assignments is a definite asset to any company looking for this discipline. Lynne's marketing know-how is consummate. Lynne is a pleasure to work with because she knows her stuff, doesn't waste time, and she comes up with outstanding ideas. I would highly recommend Lynne to help you with any internet business, social media project, graphics/signs, or practically any business endeavor - her company does it all. Lynne is not only technically sound in marketing but she is hard working and motivated. Her attention to detail and extreme dedication set her apart from the crowd. [Lynne] was a pleasure to work with and always met and exceeded our expectations. She always met our deadlines, was very detail oriented and innovative in coming up with a solutions and recommendations for our projects. Lynne is a very detail-oriented person, able to think 'outside of the box' to offer intriguing insights and is passionate about all she does!